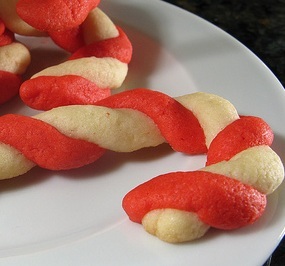 I recommend making this candy cane cookie recipe for the christmas holidays. Not only do they taste extremely good, they are perfect for the holiday spirit. Also try some green food coloring to mix them up a bit.